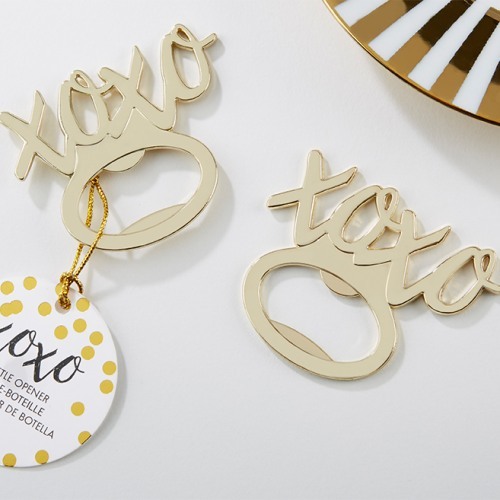 Bottle stoppers always make a fabulous wedding favor, and this XOXO bottle opener is exceptionally fun! Shiny and gold toned, this bottle opener has a swirly XOXO design on top for a fun look. Also great as a favor for bridal showers or bachelorette parties.